On January 29, 2009, Pat Quinn was sworn in as the 41st Governor of the State of Illinois, after the impeachment Rod Blagojevich. Governor Quinn has served the people of Illinois for more than a quarter of a century - both as a citizen and a public official. He has organized grassroots petition drives signed by more than four million voters; walked across the state in support of decent healthcare for all; proposed historic tax reform for working families; increased consumer protections; and given Illinois’ residents a strong voice in government. 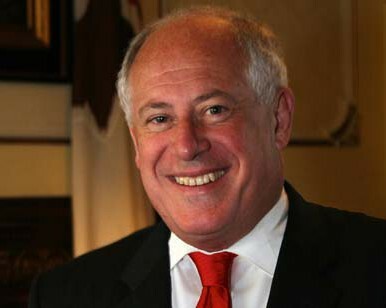 Illinois Governor Pat Quinn faced the toughest re-election predicament of any statewide candidate in 2010. An unelected governor who ascended to his position by dint of the high-profile scandal that led to the impeachment of his running mate, Rod Blagojevich, Quinn sought voters’ approval during the worst economic conditions since the Great Depression. Those circumstances created a Republican wave that toppled Democratic incumbents across Illinois and the nation. It was hardly surprising that polls showed the Governor trailing his relatively unknown Republican challenger, Bill Brady. On top of all that, Quinn’s campaign was shaken by the dismissal of his original consulting team in mid-September. That’s when The Mellman Group was called in to help try to salvage a victory from what the smart money saw as an almost certain defeat. With just eight weeks left until Election Day, we had little time. Our first step was rapid immersion in background information on the Governor and the campaign as well as a careful review of the existing research conducted for the campaign by its previous pollster. Our analysis revealed significant gaps in the earlier research. No positive messages had been tested and most of the research on attacks involved testing of multi-part “kitchen sink” messages which made it difficult to tease out which specific elements were doing the work. Quinn needed both an effective line of attack to disqualify his opponent, as well as a compelling positive track that would establish the as yet unelected governor as a viable alternative for swing voters. Focus groups explored the strengths and weaknesses of both candidates. We immediately fielded a new benchmark survey that explored the best ways to attack Quinn’s opponent and determined that a thematic accusing Brady of using government to benefit wealthy people like himself at the expense of the middle class was the most effective frame. Our research also assessed which specifics would be most effective in making the theme stick with voters. Wonderful ads produced by Joe Slade White & Co. communicated the message and the results were evident in our tracking polls. Though all the public polls showed Quinn trailing—our survey revealed the effectiveness of our message strategy which had propelled Quinn into a narrow lead. The tracks were also used to make final decisions about messages traffic and targeting. While Congressional incumbents and the Democratic Senate candidate in President Obama’s open seat went down, Quinn maintained his small lead over Bill Brady and won by a narrow 20,000 vote margin, returning him to the Governor’s mansion for another four years.